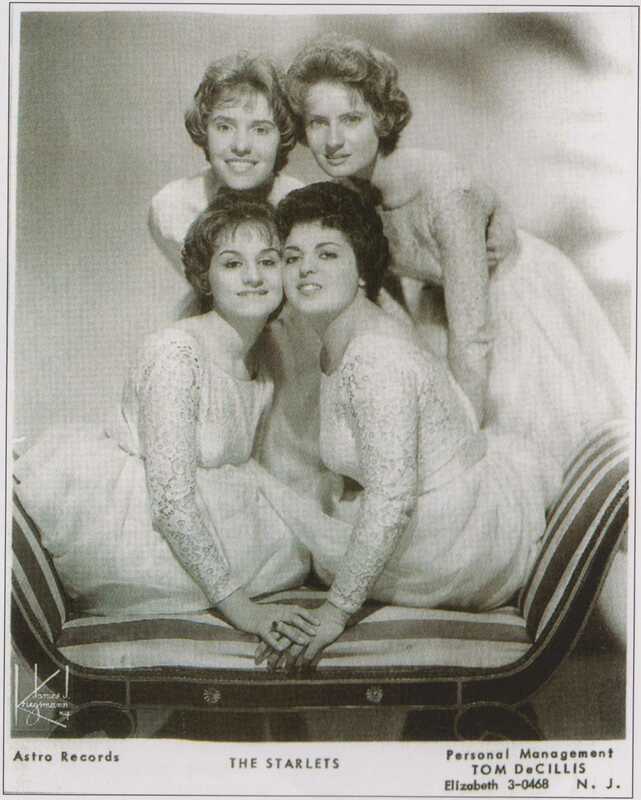 The group originated in New Jersey as The Starlets which consisted of sisters, Barbara “Bibs” and Phyllis “Jiggs” Allbut, Bernadette Carroll, and Linda Malzone. They had some minor local hits and wound up doing back-up work in the studio. When Linda Malzone left, Linda Jankowski (later Jansen) became the new lead singer. Their manager, Tom DeCillis, turned his focus to Bernadette Carroll and dropped the rest of the group. Carroll would find solo success in 1963 with her Laurie single “Party Girl.” After a failed attempt at record deal with producer Gerry Granahan, the Allbut sisters turned their focus to education. Phyllis Allbut was in teacher’s college at the time and Barbara Allbut was accepted into the Juilliard School for her abilities as a musical arranger. Soon Granahan, who had previously rejected the group, suddenly saw hit potential in the song they had performed for him in their audition, a version of “Till,” and wanted them to record it in the studio. 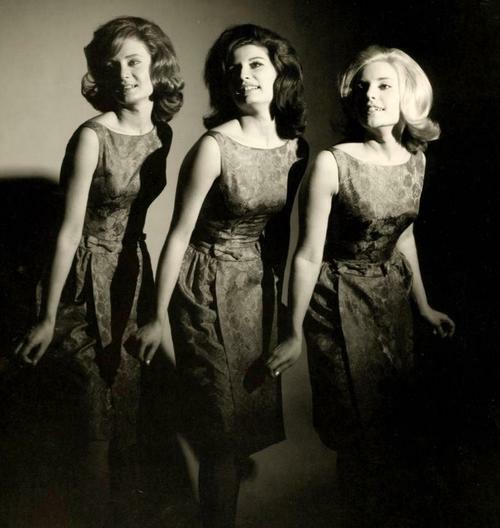 “Til” became their first single under their new name, The Angels, and also their first hit (#14 US) released by Granahan’s Caprice label in 1961. 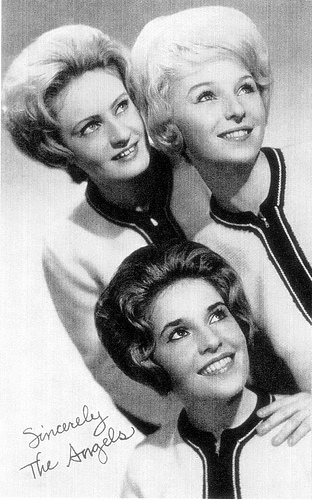 The song was followed up with a less-successful single, “Cry Baby Cry.” The Angels had one album on Caprice, titled …And The Angels Sing in 1962. 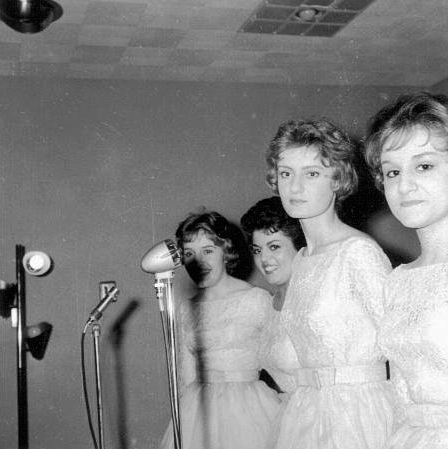 Jansen left the group in late 1962 to go solo and was replaced by Peggy Santiglia, formerly of The Delicates (with Denise Ferri and Arleen Lanzotti). 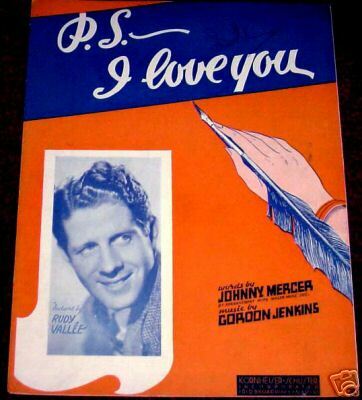 P. S. I Love You (m. Gordon Jenkins, w. Johnny Mercer) – Rudy Vallée’s popular recording, released in December 1934, introduced the song. A recording by the Hilltoppers peaked at #4 in June 1953 (charting for 21 weeks), and the Vogues charted with their version in 1960. Others to record the song include Billie Holiday, Frank Sinatra, Mel Tormé, Rosemary Clooney, Kay Starr, the Starlets (#106), and Diana Krall. Till is a popular song with music by Charles Danvers and English lyrics by Carl Sigman,…It was derived from the French song “Prière Sans Espoir”, released in 1956 by Lucien Lupi on the EP L’Amour Viendra with original French lyrics written by Pierre Benoit Buisson. Italian singer Caterina Valente released a version in 1960 with lyrics by Gaiano [Carla Boni]. The Angels, with the Hutch Davie Orchestra — issued in January 1962 on the single Caprice 112, b/w “That’s All I Ask Of You” (Harmon, Granahan, Farrel); #38 Hot 100 — Caprice 112 labels at 45cat.com and Discogs.com do not identify an arranger or a producer. According to the Caprice label history introducing the Caprice Albums Discography published at the Both Sides Now Publications website (bsnpubs.com), co-founder Gerry Granahan was the main producer for the Caprice label, while Hutch Davie was the musical director for both Caprice and the subsidiary label Congress. The rhythm track(s), the melody, and the harmonizing “whoo” back vocals all contain striking similarities to those of “Cry Baby Cry” by the Angels, which had been issued almost 3 1/2 years earlier. * On the labels, the two sides are identified as AS202-1 and AS203-2. So the sides not only have different catalog numbers in a series, in itself an oddity, but they also have numbers appended to indicate the sides, 1 and 2 (instead of the more common A and B). Just watched the movie ‘The Jersey Boys’ and wanted to know more about ‘The Angels’. I did not realize until tonight how talented the girls truly were.